Our People - Capital Strategies, Inc.
F. David Bixler is the president of Capital Strategies, Inc., a registered investment advisor, and has been involved in the personal financial planning and investment management field for more than three decades. He provides consulting services to plan sponsors, trustees, personal representatives, investment committees, and individual investors. Investment management, financial planning, and education programs are provided to clients throughout the country. David is deeply committed to his profession, and has been been recognized for five years (four in a row) as a Five Star© Wealth Manager. Download the document to review his professional involvement. Capital Strategies, located in Indianapolis, Indiana, provides extensive consulting services, financial planning and investment management for individuals as well as workplace financial education relating to 401(k) and 403(b) plans, specific individual investment advice for plan participants, plan consulting, asset management, and performance reporting. An involved member of the profession, Bixler frequently addresses national conferences, participates in industry research, authors articles for the news media, and is quoted in national newspapers and trade magazines. 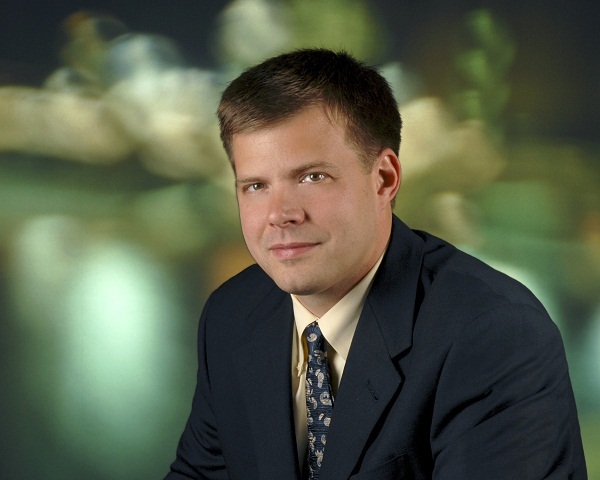 In 2002, Bixler addressed the 28th Annual Meeting of the National Federation of Community Development Credit Unions on the Indy Saves program he helped organize to encourage Indianapolis residents of all income levels to build wealth through saving and through reduction of debt. In 1999, he joined with Virginia Polytechnic Institute researchers to determine the positive effect of providing specific individual investment advice to employees. The project was pursued in conjunction with Virginia Tech’s National Institute for Personal Finance Employee Education. 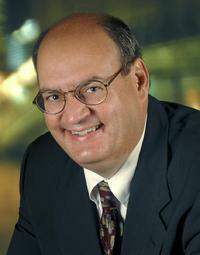 Using information from the study, Bixler co-authored an educational white paper, “The Employee Retirement Income Security Act: An Evaluation After 25 Years.” The paper, prepared for the Certified Financial Planner Board of Standards, was presented to the United States Congress later that year. Bixler has authored numerous articles for The Indiana Lawyer concerning 401(k) plans, selecting a trustee, and the duties and liabilities of trustees. He has been quoted in business and professional publications, including The Washington Post, Investment News, the Dallas Morning News, The Journal of Financial Planning, The Indianapolis Business Journal, The Indianapolis Star and The Indiana Lawyer. He has participated on a number of panel discussions and has been invited to lecture on a variety of topics including employee financial education, essentials in retirement planning and the effect of fees and expenses on 401(k) plan design and implementation. Bixler, a Certified Financial Planner® certificant, is a member of the Investment Management Consultants Association, and the Financial Planning Association. He holds B.A. degrees in economics and in business administration from Southern Methodist University in Dallas, Texas. He and his wife have two children and reside in New Palestine. Jeffrey DeGeeter is Vice President of Capital Strategies, Inc. He has been with the company since early 2002. His primary responsibility is to work with company president, F. David Bixler, in advising clients on their financial planning needs. More broadly, he works to maximize the overall value of the company and optimize cash flow. In his position, Jeff is responsible for financial analysis, receivables and payables, and payroll. Other responsibilities include development of the annual budget, analysis of client portfolios, market research, financial planning, and various accounting duties. Jeff also holds management responsibilities for Capital Strategies’ sister company, Bixler Capital Partners. As Controller, Jeff is responsible for maximizing the overall value of the trusts and optimizing cash flow. In addition, he also oversees the operation of a real estate asset. In this role, he prepares the trusts’ financial reports, maintains books and records for the trusts, analyzes data, performs general accounting responsibilities, and interfaces with outside consulting firms. Previously, Jeff served as a Staff Accountant for Personnel Management, Inc., of Greenwood, Indiana, with responsibilities for reconciliations, inter-bank relationships and general ledger entries. He holds a B.S. degree in business from Indiana University – Bloomington, having majored in accounting and operations management. Jeff lives in Plainfield with his wife April and their two children, Grant and Ian. Richard C. Nye, CAE(Ret. ), joined Capital Strategies, Inc. as Director-Client Relations on December 4, 2007. Prior to coming with CSI, Nye spent 42 years in association and chamber of commerce management. 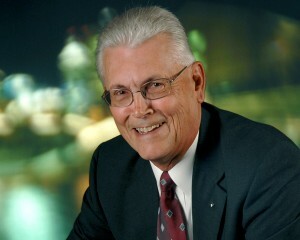 Most recently he was the Executive Vice President of the Indiana Association of REALTORS (1990-2006) and prior to that was Executive Vice President of the Metropolitan Indianapolis Board of REALTORS (1980-1989) and Vice President-Economic Development of the Indianapolis Chamber of Commerce (1964-1980). Nye, a native of Indianapolis, is a 1963 graduate of PurdueUniversity(BA-Economics) and also holds a MBA from Indiana University. While with the REALTOR organizations he held the REALTOR Certified Executive (RCE) designation and was an inductee into the Almond “Bud” Smith Association Executives Leadership Society. He also holds the Certified Association Executive (CAE) designation. In 2008, he successfully passed the Series 65 Exam for investment advisor representatives. Nye is active with his church, Good Shepherd United Methodist, is a Certified Lay Speaker, a member of The Gideons International, the Franklin Township Chamber of Commerce Economic Development Committee, the Zoning and Land Use Committee of the Franklin Township Civic League and the Board of Directors of Little Lambs Children’s Ministry. He is a Life Member of Full Gospel Business Men’s Fellowship and the Purdue Alumni Association. He and wife Sue, who is a retired REALTOR, have five children and 14 grandchildren and reside on the far southeast side of Indianapolis.